Made his major debut in 1982 with the album, “STOP JAP” as the central member of the legendary Japanese punk band “The Stalin”. His strong presence and charisma has attracted a huge number of fans, and has risen to the status of phenom. In 1985, the band broke up, and he began his career as a solo artist. Has seen much success in bands such as “Paranoia Star”, “Video Stalin”, “Stalin”, and “COMMENT ALLEZ-VOUZ?”. He has had a rather aggressive style career in which he’d perform in more than 100 live concerts a year under his solo name. 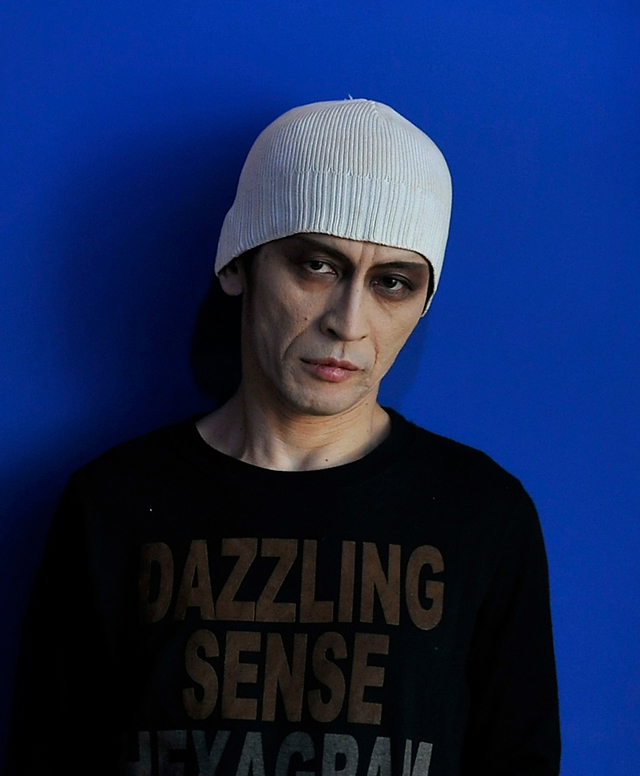 He has close connections with younger artists, and has collaborated with the likes of “Group Damashii” and “Kenji Otsuki. These days, alongside his solo work, he has been perfoming with Toshiaki Ishizuka (Zunou Keisatsu) and Hiromichi Sakamoto as NOTALIN’s, with Tatsuya Nakamura (LOSALIOS) as TOUCH-ME, and with Kazuyuki Kuhara (The Birthday) & Hisato Yamamoto as M.J.Q.